The term brand is used to connote a specific approach, symbol or sign that is unique to a particular product or service. In light of this, a brand is an identification tool that is in marketing in a bid to identify a certain product or service in the marketplace. This helps in the easier recognition of products from companies in a bid to curtail competition. In most cases, branding in the corporate world has been directed to the selection of colors as a brand. For example, the beverage company Coca Cola is widely attributed to its red and white brand colors. This amicably alienates it from competition from other beverage companies since its clients easily are acquainted with their products. According to Randall (2000 p.2) branding is essentially the process whereby business enterprises and companies embark on a path to innovatively shield themselves from competition in the market by incorporating their brand and consumer insight in their products. For example, coming up with colors and logos that geared towards helping their clientele base to differentiate original and counterfeits and also their competitors’ products and services. In the spirit of globalization, the world has turned itself to a global village thus the business sector has extensively widened to cover global markets. In this regard, the term global branding was fronted. Randall (2000 p.121) further asserts that global branding is the systematic change by corporate market players to ostensibly incorporate themselves to the foreign markets for competition. Global branding, therefore deals with the effective application of the brand symbol to all products across the globe for easier identification by the customers. For example, the Coca Cola Company extensively uses global branding to capture its niche market across the globe. This means that their customers can easily identify their products regardless of their products. However, international brands should not be confused with global brands. International brands are only recognized in several nations unlike global brands that have penetrated the global market and are universally distributed. This implies that global brands are found in every nation state across the world. In this regard, the positioning of a brand in the global arena is geared towards the realization of broader market base and also maximization of profits. All in all, the global branding is hindered by various factors including language barriers, different import export regulation across nations and also political and economic stability of target market geographies. Global branding (Cato 2001 p.13) is divided into two mega categories to effectively bring out the meaning. They include global societal persuasion branding and global commercial persuasion branding. In global societal persuasion branding the presence of powerful beliefs systems represented by recognizable names is primarily intended to provoke emotional responses thus providing motivational commitment and action. This helps in the construction of brand loyalty. On the other hand, global commercial persuasion branding is a process that is aimed at provoking emotional responses in a bid to realize the motivation to sell products and services for commercial gains. Gregory and Wiechmann (2002 p.37) argues that language is predominantly the worse barrier for global branding. This is because of the dynamic characteristic of language. In light of this, language as an essential tool for brand marketing serves an integral role in the realization of business goal. For example, although English is a widely used language across almost all demographics, it is a hindrance to global branding since it is not entirely used in all regions. It is for this reason that it derails the success of global marketing. Global branding as an effective marketing tool is largely hampered by language differences culminating in low turnovers. This implies that lack of understanding of language used in global brands triggers competition from local brands. In light of this, consumers turn to products and services that they effectively comprehend leaving out global products since they are unable to understand the language used thus reducing the profit margins of global brands in the competitive markets. For example, an American automobile called ‘Nova’ has had troubles with marketing in Mexico because ‘no va’ means ‘doesn’t go’ in Spanish. This explains the ways in which global branding is hampered by language differences. Language differences give amicable room for proliferation of distortion of the intended message. For example, the intended message by the brand is wrongly interpreted by the consumers. Language (Munch 2001 p.150) is used as key determinant of a persons’ way of life, beliefs and traditions. In light of this, the incorporation of language helps in global branding. However, it can also play a significant role in hindering global branding. This implies that the clientele base only associates themselves with a product or service that uses their language. For instance, using the hip-hop music language that is vulgar helps a business meet its goal. In light of this, the language is either instrumental or detrimental to the success of the business company. Language hampers global branding in the event that the language used is decoded differently across the market scoop. For example, a certain English word might be perceived differently by consumers. This implies that the usage of language in global branding should be decisive not to alienate clientele base. In this regard, the language hampers global branding as it segregates the clientele. This means that the clientele base reduces massively as a result of language barrier and differences in meaning. However, this hindrance serves as a wake-up call for global brand managers to effectively come up with universally acceptable language connotations aimed at not only profit maximization but also consumer numbers increment. Moreover, lack of understanding reduces brand loyalty among the consumers who in response turn to other complimentary products and services. This implies that they turn to other products that are similar in use. For example, consumers turning to other soft drinks at the expense of the multinational Coca Cola Company. The loyalty shift impacts negatively on the company’s turnovers. Language use in global marketing serves as an analytical tool for the company. This implies that language used by the various companies in the global arena effectively furnish the clientele with vital information about the multinationals. For example, language use segregates consumers across economic lines. Use of language filled with heavy vocabulary alienates consumers. This implies that consumers assume the selective exposure and retention modes of behavior. In light of this, consumers of products position themselves to the products they easily understand and brands they are confident with in relation to language. The rise and rise of information communication technology arguably changed the language platform for the better. This implies that the use of communication technology tools such as social networking sites is leading to not only language inconsistency but also digital divide. For example, global branding has resulted to communication technology tools such as Facebook to advertize their products and in the process acquiring new language that does not conform to the needs of all niche market. In light of this, the incorporation of such language in global branding may be vulnerable to other consumers as a result of digital divide. This implies that not all individuals are aware of such changes. For instance, selling a Nokia handset with Facebook might not ringer sense to an old adult who neither uses Facebook nor uses handsets in the first place. As stated above, language is a critical ingredient in the design and final approach to branding. In this regard, the concerned parties such as brand managers should effectively realize the impacts both negative and positive on language in the formation of brands. This will amicably help in realizing the multinational’s goals, mission and vision. Moreover, the effective language use will have considerable impacts on the profit margins of the company and also play a significant role in either reducing or increasing their clientele numbers. 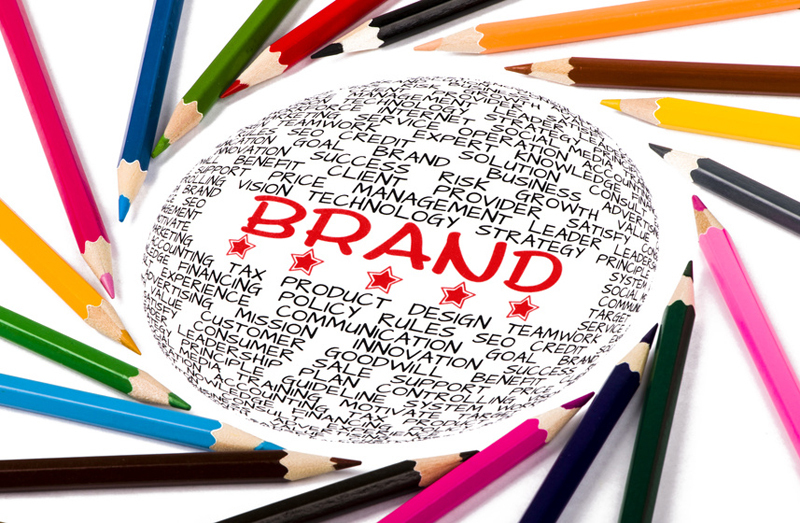 For example, poor global branding negatively affects a company’s profits. In conclusion, it is only wise for global brand managers to try as much as possible to remain unique and specific in their overall objective of remaining at the top of the competitors. All in all, adherence to national laws by multinationals is vital for success.